These videos include three seasons of the Robotic Rhinos with their "adopted trees." Enjoy! Carol Anne McGuire is an amazing educator from Anaheim, California. We have been learning to take notes using a strategy called Edusketching from Mrs. McGuire by watching her instructional videos on YouTube. We have been practicing her strategies for a couple months now, and today we got to meet her on skype! Below are some pictures of our Skype call. Below shows one of the videos where we learned Edusketching. To watch more, subscribe to Carol Anne's YouTube channel. Be on the watch on this blog for "Blogworthy Notes" where we use and expand upon the Edusketch notetaking ideas! Today the district came together to honor veterans at the Greenville High School. Greenville's veterans were invited, student speakers explained the branches of the military, and students sang patriotic songs. Below, listen to students from East Elementary and Hempfield Elementary singing one of those patriotic songs. We have adopted this little girl and are financing her education. We plan to create lessons and books for her and we are also going to make toys and educational items for her and her classmates on the 3D printer. This week two classes got to skype with one of the teachers at Faith's school, Mr. Livingstone Kergode. He answered every question we asked him from what is the attendance like at your school? (excellent, because nobody wants to miss anything!) to are there horses? (No, only the rich people in the cities own horses.) He taught us some Swahili and the shoulder dance and we all "dabbed" together! 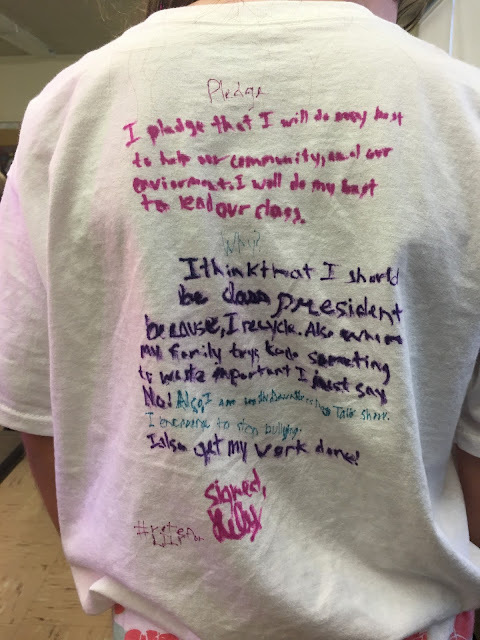 We learned so much, and many of us took notes so that we would not forget. 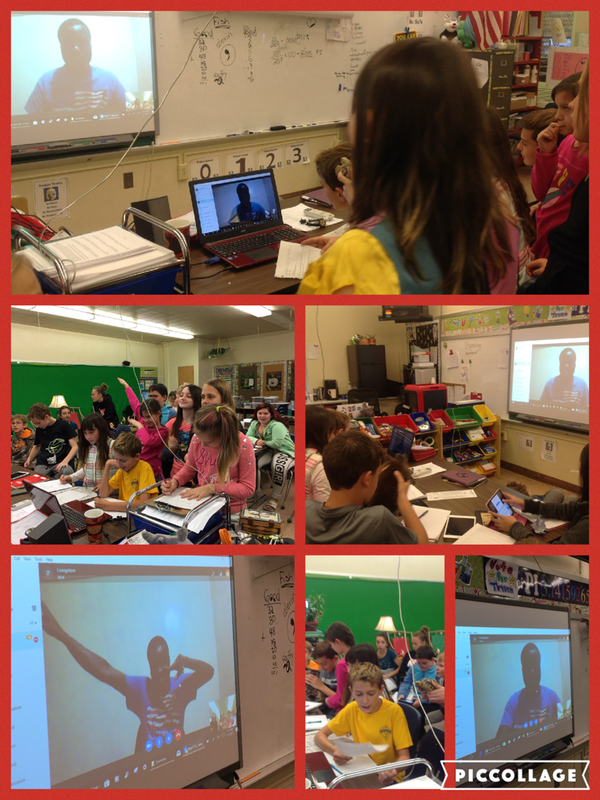 Below are some pictures of our skypes with Livingstone. Cool, huh? Today we had our primary. Some of the boys ran for the boy party, and some of the girls ran for the girl party. Speeches were given, promises were made, and maybe a few bribes were handed out. Below are some pictures and campaigning from the day. Wednesday, this week, we went on a science adventure all day to Pymatuning Lake. 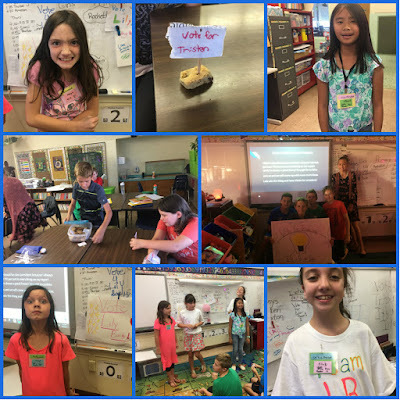 The weather was a beautiful, sunny 85 degrees, and a wonderful learning experience was had by all. Watch the video below to see what the students learn on this awesome field trip. Students have all chosen a tree to adopt from the schoolyard habitat. They will do a variety of activities with their tree throughout the year from researching the kind of tree it is, determining whether it is indigenous to Pennsylvania, learning what kind of animals may benefit (or not benefit) from their tree to just enjoying their tree and learning about the wonders and kindness of nature. The Mobile Energy Education Training Unit parked in our parking lot today and educated our fifth graders in renewable and nonrenewable resources and a whole lot more! First and foremost, we are the Symbiotic Classroom! Our environment is one of symbiosis whereas, we all rely on each other, learn together and have mutually beneficial outcomes. Symbiosis does not happen by accident, and it is not easy. We will spend this year adjusting and cooperating to create a perfect environment for each living and non-living thing in our classroom environment. 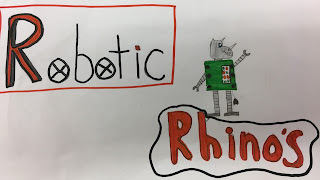 Our class named itself the Robotic Rhinos and we will forever be referred to as Mrs. Abernethy's Robotic Rhinos. 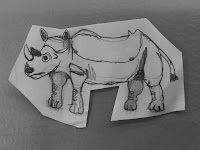 Former classes have coined the phrase that once a Robotic Rhino, always a Robotic Rhino. 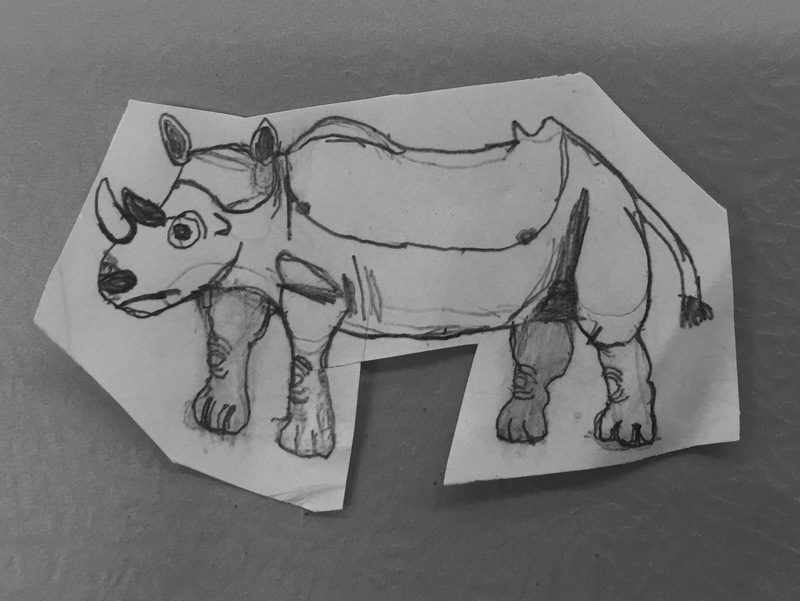 My wish is that the Robotic Rhinos will continue to rely on each other, help each other and support each other long after they leave the confines of this symbiotic classroom. Below are a series of pictures that were eventually merged to become our class logo. These are not the only entries, just the finalists. We definitely have an artistic crew in this amazing classroom.